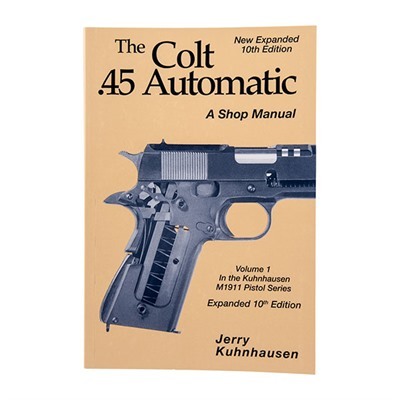 222 pages with plastic laminated soft cover: With the expanded 10th edition, the original and time tested Colt 45 Auto/M1911 pistol bench manual is now in its 17th printing and remains the best bench inspection, trouble shooting, repair, hand fitting and basic accurizing manual ever published on the subject. Hundreds of photos and illustrations. Covers the Colt Government model, including series 80's, and the U.S. Military M1911 and M1911A1 models. Includes the only really detailed instructions on fitting barrel and link that we’ve seen in print. 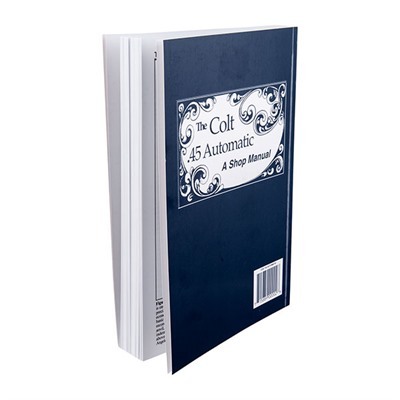 With the popularity of the .45 still growing, this book will pay for itself many times over.